The Old Government House is a former "country" residence used by ten early governors of New South Wales between 1800 and 1847, located in Parramatta Park in Parramatta, New South Wales, now a suburb of Sydney. It is considered a property of national and international significance as an archaeological resource. It also serves to demonstrate how the British Empire expanded and Australian society has evolved since 1788. In July 2010 Old Government House and Domain was inscribed on the World Heritage List as one of 11 Australian sites with a significant association with convict transportation (i.e. the Australian Convict Sites) which together represent "the best surviving examples of large-scale convict transportation and the colonial expansion of European powers through the presence and labour of convicts" The land the property is situated on is named Darug land, home to the Burramatta tribe. There is evidence of Aboriginal occupation on the site, such as middens. 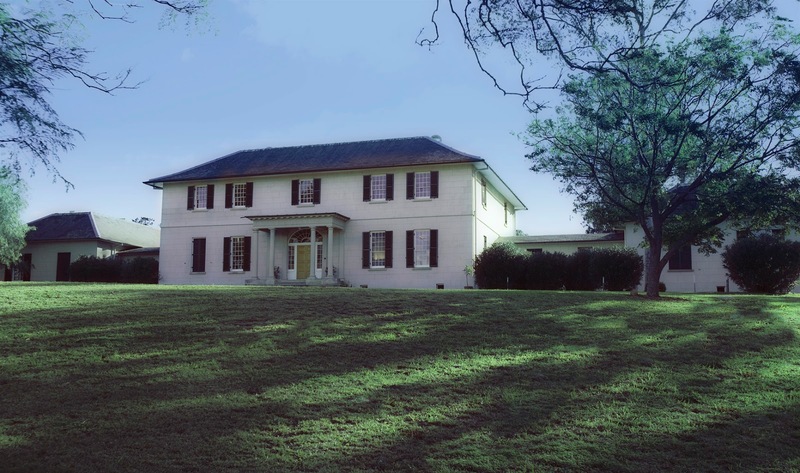 Built in 1799 the house is the oldest public building in Australia and the location of many eerie encounters. Lady Mary Fitzroy was killed in a carriage accident in the domain not far from the house in 1847. Legend has it her body was carried to the house and laid in the foyer. Superstition would have seen her feet facing the door and mirrors covered to stop her spirit from reentering the house or getting trapped. WHOA on the locked door openning! It's wonderful. Thanks for sharing this part of Sydney.